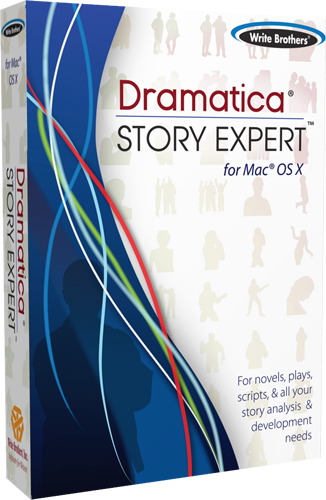 Dramatica is an entirely new way of looking at story. Beyond simply a paradigm or sequence of cultural beats, Dramatica theorizes why stories exist and attempts to outline the processes and dramatic touchpoints needed to tell a successful and meaningful story. Really, Dramatica is not all that complicated. It sees the central character of a story--the Main Character--entering with a predetermined way of doing things. Along the way they develop a relationship with their polar opposite, someone who challenges their way of thinking. Ultimately, this relationship leads the Main Character towards adopting or rejecting this new way of seeing things. The result of their decision determines whether they were on the right path or the wrong path. That's really it. Of course then you can get into Overall Story Prerequisites, Relationship Story Catalysts, and Problem-Solving Styles...but only if you really want to! When it all comes down to it, Dramatica sees story as an argument. To provide the very best argument, you have to make sure you cover all your bases and address all the different perspectives. Dramatica can help with that. The book that started it all. Within this massive tome, you'll find countless insights and understandings of story that you always knew instinctively, yet weren't sure were entirely accurate. Available in its entirety, completely free, this is the one to read. Everything you ever wanted to know about story theory but were afraid to ask. Twelve questions every author should know the answers to. Do you know the answers to these 12 questions? If not, there may be some key part of your story missing. Read on to find out how to incorporate these concepts into your own work, thereby making it stronger and more meaningful. How come I've never heard of Dramatica? Chances are you're aware of Robert McKee or Linda Seger, but have never come across our own particular model of story as human psychology. In this comprehensive article, Dramatica co-creator Chris Huntley takes the time to illustrate the differences and yes, even the similarities, between these paradigms. Ever wonder why some stories stick with you while others simply fade away? Chances are those everlasting adventures in fiction satisfy the requirements of what Dramatica refers to as a complete story. Read on to learn more about this phenomenon.